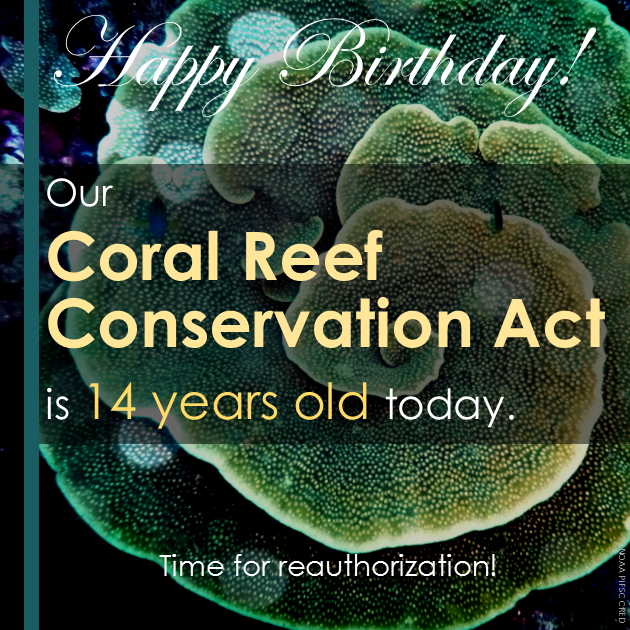 Happy Birthday, Coral Reef Conservation Act! The reauthorization of the Coral Reef Conservation Act (CRCA) of 2000 remains one of the AIC’s top priorities. With the end of the 113th Congress coming up, it is unlikely that the CRCA will be reauthorized this year. However, the AIC believes it is important to keep CRCA reauthorization on Congress’ radar and lay the ground work for a collaborative approach, as possible. Read more about this AIC priority issue here. Since summer, I’ve seen a seemingly unending flow of media headlines like these: “Coral Bleaching Outbreak Triggered By Warming Seas,” “State continues to monitor coral bleaching off Windward Oahu,” “Report: Reef showing signs of coral bleaching,” and “Scientists report coral bleaching off Kauai coast.” And, they keep on coming. What does this mean? Why is bleaching happening? What Can I Do? There are SO MANY ways you can help! 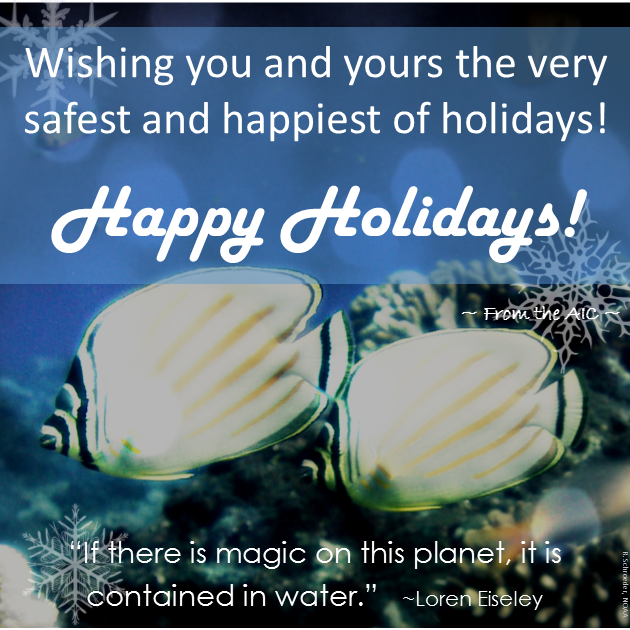 Join an organization like Hawaii’s Eyes of the Reef Network, Guam Community Coral Reef Monitoring Program, Southeast Florida Action Network (SEAFAN) BleachWatch, or Coral Watch. Help monitor and report coral bleaching in your area. Coral Bleaching: Turning Up The Heat – grades 5-8 from the National Park of American Samoa. Students will be able to define global warming and adaptations and ID several coral reef species in American Samoa.